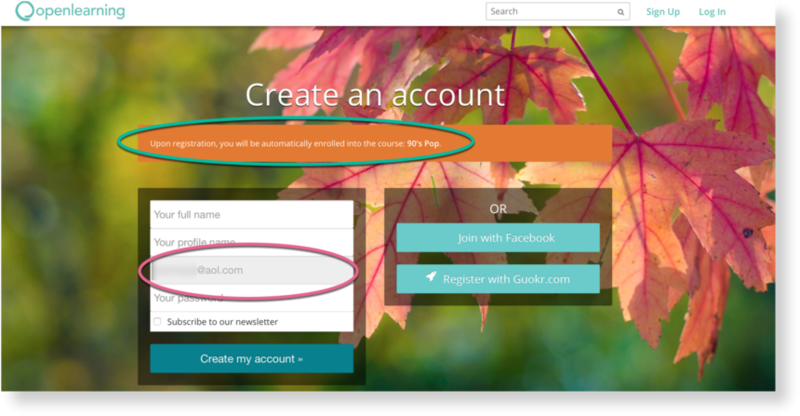 If you have an OpenLearning account and are invited via the email address associated with that account, you will automatically be enrolled in the course. If you don't have an OpenLearning account you will receive an email explaining that you are invited to the course and instructing you to create an account. 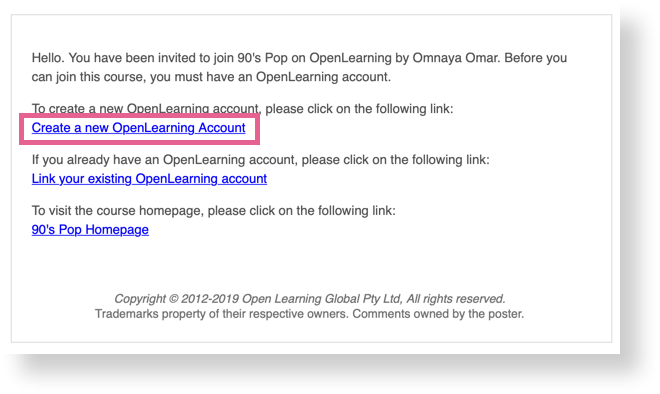 In the email, click on the hyperlinked text that reads Create an OpenLearning account. Your email address should already be filled in for you in the grey box. Enter your full name in the first box. This will generate an automatic username for you in the box beneath it. Choose a password and type it into the final box. If you receive an error stating that your username is already taken, try adding letters or changing the username any way you see fit until you find one that is available. 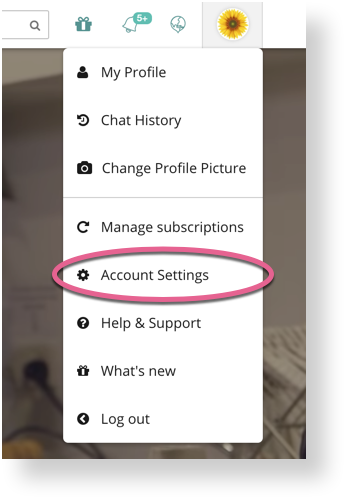 Usernames cannot include numbers or symbols. 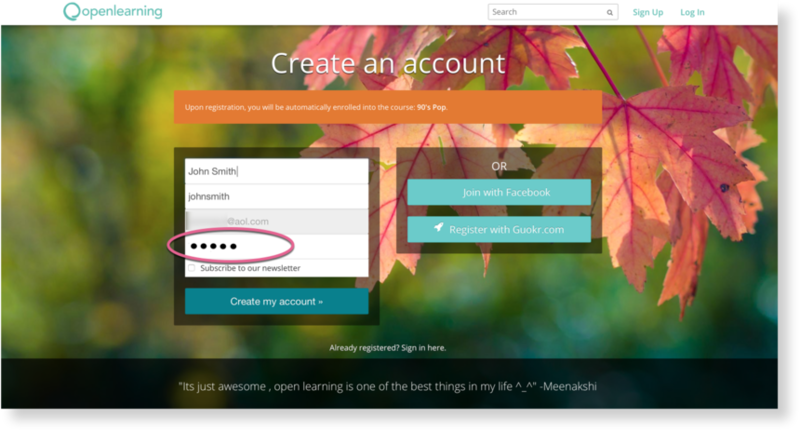 You will also have to re-enter your password once finished and click Create My Account again to continue. You will now be redirected to the course you were initially invited to and greeted with a Welcome pop-up. Read through the welcome letter by clicking Next. Once you've reached the end, the orange button will read Start Learning. 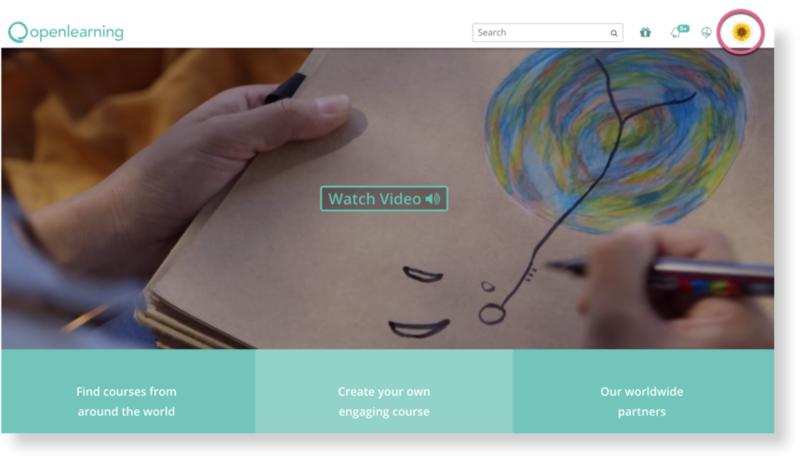 Once this is clicked, you will now have access to your course. If your email is unverified, click the Re-send Verification Email button. Be sure to double check your email address for any typos or you might not receive the email. If your email address has a typo, simply click change and correct the spelling before clicking Re-send Verification Email again. After clicking re-send, you will see a pop-up asking you to confirm this action. Click OK.
Log into your email account and find the verification email. It might take a couple of minutes to show up in your inbox. If you still can't find it, try checking your spam box as well. 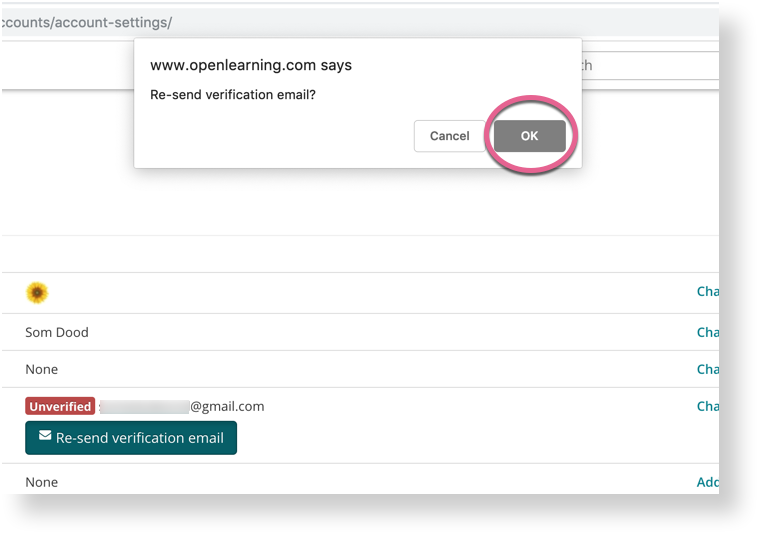 Open up the email and click on the button that reads Verify Email Address. You should be redirected back to OpenLearning.com. Now that your Email is verified, follow the instructions above ie: click on the globe icon to access your course list, find your course, click on it. Happy Learning!